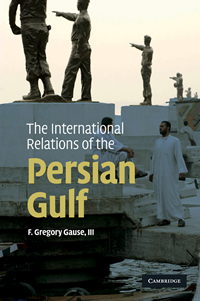 "[Gause's] organizing theme is the concern of all Persian Gulf states, great and small, for regime security, but he also treat other matters, from the role of oil to transnational issues....[With] his deep knowledge of the region, careful scholarship, and judicious attitude, Gause offers consistently sound interpretations." "The most authoritative account to date of the tumultuous events that marked the transition from British to American predominance in the Persian Gulf. Gause's meticulous reconstruction of regional political interactions illuminates and informs, while gently puncturing a handful of myths that have sprouted during the past half century to explain the many twists and turns of revolution, war and struggles for power in one of the most turbulent regions in the world." The eyes of the world have rightly been focused since the beginning of 2011 on the popular upheavals in the Arab world. Leaders have been deposed in three Arab countries, very possibly in a fourth (Yemen, where President Ali Abdallah Saleh has resigned but remains in the country) and Bashar al-Asad hangs on against the most serious challenge to his family's rule since it began in 1970. The ripple effects of the Arab Spring have affected all the countries of the Arab world, even those where the rulers did not face serious challenges. It has been an epochal period of political transition, and it is not over yet. But in that focus on domestic upheaval in the Arab world, we might be missing the other big story of the Arab Spring - how the rivalry for regional influence between Saudi Arabia and Iran is affected and affected by these domestic political changes. That rivalry, emerging from the two states' geopolitical contest in the Persian Gulf, is now the most important international factor in the Middle East. While the Arab-Israeli conflict remains a key international element in the region, it is largely frozen right now. The regional international dynamic comes from the maneuverings of Tehran and Riyadh. Both have had gains and losses in the Arab Spring, but, in the end, neither will end up a winner if the democratic promise of the changes in the Arab world is borne out. The intense and direct contest between Iran and Saudi Arabia for regional influence in the Persian Gulf, and more generally in the Middle East, is a recent phenomenon. The two countries are hardly natural allies. One is overwhelmingly Sunni; the other, Shi'i. Since the Iranian Revolution, both have advanced claims to speak for the larger Muslim world. Both have substantial coastlines along the Persian Gulf, and thus both have ambitions in the area. Iran is vastly larger in population; Saudi Arabia produces much more oil. But none of this means that they are fated to permanent conflict. During the days of the Shah, the two countries regarded each other, if not as allies, at least not as enemies. They shared an alliance with the United States and a common perspective on the Cold War. Even after the Iranian Revolution, during the Iranian presidencies of Ali Akbar Hashemi Rafsanjani and Muhammad Khatami, both countries tried to lower the temperature of their ideological and geopolitical differences and deal with each other in a business-like fashion. Their more direct recent conflict stems from the American invasion of Iraq in 2003. The removal of the Saddam Hussein regime in Baghdad fundamentally altered the balance of power in the Persian Gulf. While Iraq was a functioning state, it served as a balance against Iranian power. The Saudis knew this, supporting Saddam, even though they did not like or trust him, in his war against Iran from 1980 to 1988. Even after Saddam's ill-fated invasion of Kuwait in 1990, his Iraq was a buffer between Iran and Saudi Arabia. His fall, and the American inability to construct a stable Iraqi regime to succeed him, turned Iraq from a player into a playing field in the Middle East power game. The election of Mahmoud Ahmadinejad, more ideologically committed to spreading the revolutionary message outside Iran's borders than his immediate predecessors, to the Iranian presidency in 2005 increased the temperature of the rivalry and the stakes in Iraq. Both Iran and Saudi Arabia supported, and continue to support, local allies in the domestic political struggle in Iraq. The Iranians definitely have the upper hand there, with many allies among the country's Shi'i majority and a strong relationship with the government of Nouri al-Maliki. The Saudi-Iranian contest for influence in Iraq provides a template for their larger regional rivalry. That contest is fought out in the fragmented domestic politics of weak Arab states - Lebanon, Palestine, Yemen as well as Iraq. Each side backs local allies in hopes that those local allies will come to power, as Maliki has in Iraq, and tilt toward their foreign patron. For Iran, those allies include Hizballah in Lebanon and Hamas in Palestine; for Saudi Arabia the Palestinian Authority, the Sunni partisans of former prime minister Saad al-Hariri in Lebanon and various tribal shaykhs and political figures in Yemen. Neither Riyadh nor Tehran really presents a military threat to their neighbors. The Saudi army is small and untested and rarely used outside Saudi borders. The Iranian army is larger and more battle-tested, from its war with Iraq in the 1980's, but also not a real offensive threat. It is through the deployment of money, guns and ideological and sectarian influence in the domestic politics of their neighbors that the two states battle for regional influence. The Arab Spring, by shaking the stability of a number of Arab states, has opened up new fields of contestation for Saudi Arabia and Iran. In Yemen the Iranians have established tentative ties with the "Huthi" movement that began a rebellion against the central government in the mid-2000's and currently controls much of the northern part of the country. The Bahraini government claimed, without much evidence, that the popular mobilization for political reform that roiled the country in February-March 2011 was orchestrated from Tehran. But that was enough for the Saudis to send troops into Bahrain in support of the Sunni monarchy ruling there. The Saudis lost their major Arab ally against Iran when Hosni Mubarak fell from power in Egypt. They are trying to make the Iranians suffer the same fate by supporting the Syrian rebellion against Iranian-allied Bashar al-Asad. Syria is becoming another playing field in the Saudi-Iranian rivalry, as the power of the central government crumbles and Syria devolves into civil war. For both Saudi Arabia and Iran, the Arab Spring is just one more installment in their geopolitical struggle. Their evident inconsistencies are easily explained by their intense focus on each other. Iran cheers popular uprising against Saudi (and American) allies but actively supports the Asad regime against its own people. Saudi Arabia likewise bemoans the fall of Mubarak and sends troops to support the Bahraini government while taking the lead in supporting the Syrian rising. Neither is concerned about promoting democracy or popular sovereignty. Each case is viewed simply through the lens of their regional rivalry. But the Arab Spring could become very problematic for both the Saudi and Iranian leaderships, if its democratic promise is eventually borne out. Neither capital is very comfortable with real democracy. The Saudis are, arguably, the least democratic country in the world, without any elections at all (even sham elections) to a national legislature. Iranian Supreme Leader Ali Khamene'i has worked to gut the democratic elements in the Islamic Republican system, limiting the competition for parliamentary seats to those whose loyalty is not questioned, presiding over a manipulated re-election of Ahmadinejad in 2009 that brought hundreds of thousands of Iranians into the streets in protest and now undermining the elected president he supported in 2009. Were a number of stable democracies to appear in the Arab world, the blow-back effects into the domestic politics of both Iran and Saudi Arabia could be considerable. Both leaderships would find it harder to penetrate the domestic politics in stable democratic systems, cutting off the major means by which they pursue their rivalry now. Of course, there are no guarantees that the Arab upheavals that began in 2011 will lead to stable democratic systems. Only Tunisia seems considerably advanced toward that goal now. If the popular risings that brought down leaders and threaten others simply lead to more domestic conflicts and weaken central governments, the Saudi-Iranian rivalry will have that many more playing fields. But a real democratic wave in the Arab world will make that rivalry much less central to the international politics of the Middle East, and focus both Tehran's and Riyadh's attentions on the more central task of preserving their own authoritarian systems. F. Gregory Gause, III is Professor of Political Science at the University of Vermont. His previous publications include Oil Monarchies: Domestic and Security Challenges in the Arab Gulf States (1994) and Saudi-Yemeni Relations: Domestic Structures and Foreign Influence (1990). 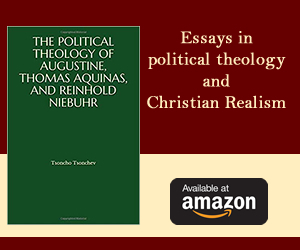 His scholarly articles have appeared in Foreign Affairs, Foreign Policy, Security Studies, Middle East Journal, Washington Quarterly, Journal of International Affairs, Review of International Studies and in other journals and edited volumes.